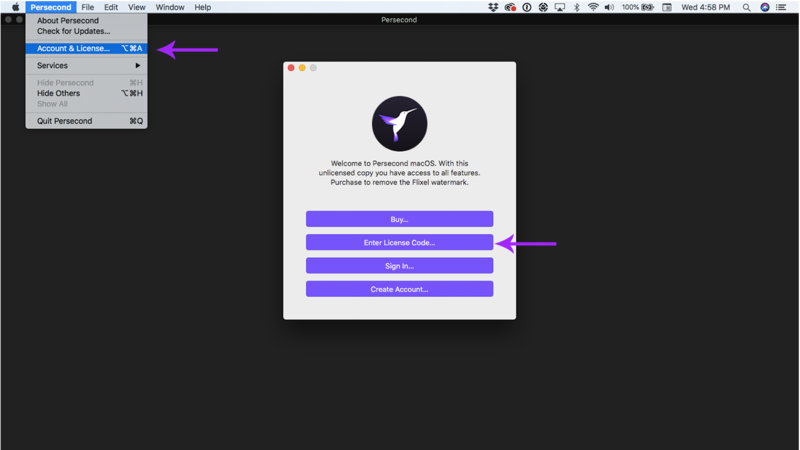 Persecond for macOS licenses used to be available on the online Flixel Store and Mac App Store. Each purchasing method had a different activation process to remove the watermark from the app. The activation process for Persecond for macOS licenses purchased on the online Flixel Store will depend on when the license was purchased. If you purchased Persecond for macOS after October 27, 2016, your license will be activated with a license key sent via email upon purchase. If you purchased Persecond for Mac before October 27, 2016, your license will be activated with a license file sent via email upon purchase. Contact us if you can't find your license file. 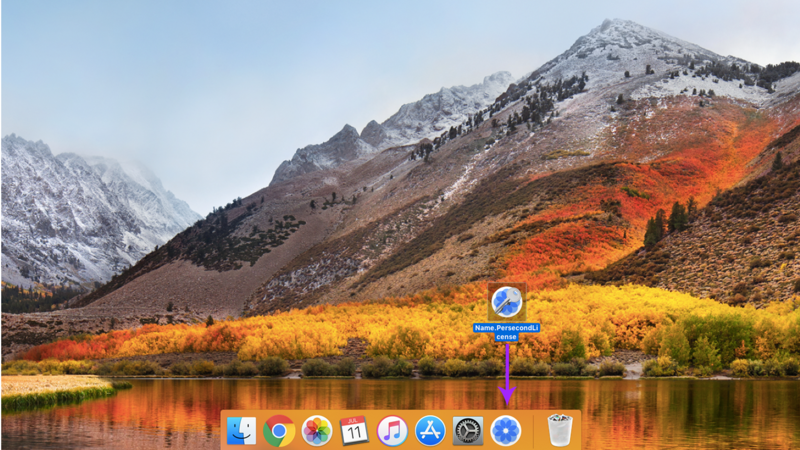 If you purchased Persecond for macOS on the Mac App Store, your license will be connected to the Apple ID associated with the purchase. As long as you're signed in to your Mac with the Apple ID associated with the purchase, you should have access to the licensed software.